Team members – provide the training and education they need to perform at the level expected by our clients. Meet physical, emotional, and spiritual needs of our team as they arise. Use the resources at our control to benefit our team. Clients – do right no matter the cost. If we miss something on our bid, make it right. We don’t shy away from a challenge because of a mistake. We use it to our advantage to shine and show our clients that we are worth partnering with. Community – use the resources at our disposal to benefit organizations that are doing good in our community. Whether financial or physical needs are present, we make ourselves available to meet them. Integrity is the grit and will power to continue on when the going gets tough. It may be difficult and discouraging but integrity gives us the will to get through. Every test we have been through has made our organization better. 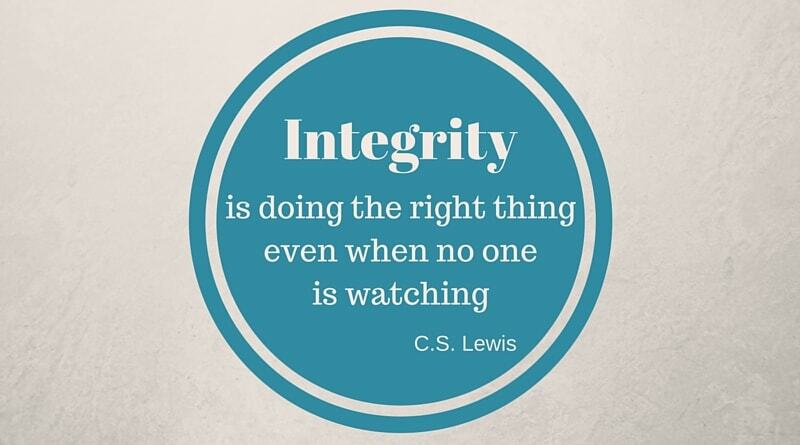 Integrity is what gives us the 20/20 vision to see that.